9 Churches We've Worked At and Loved! — Wedding Savvy Wedding Consulting, Inc. The United States Naval Academy Chapel has one of the most beautiful rotundas around! With its amazing architecture and prestigious reputation, guests will eat their hearts out while you and your partner do THE sword arch! 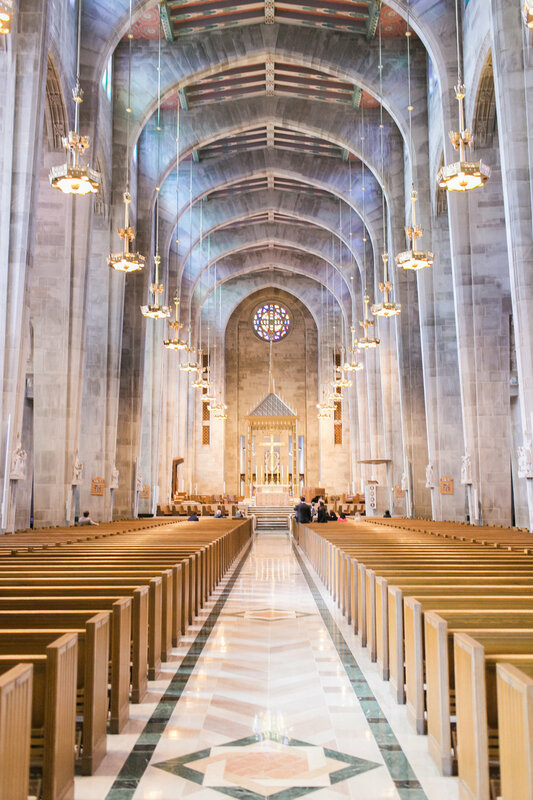 Weddings to be conducted in the United States Naval Academy Chapel are scheduled no more than one year in advance. 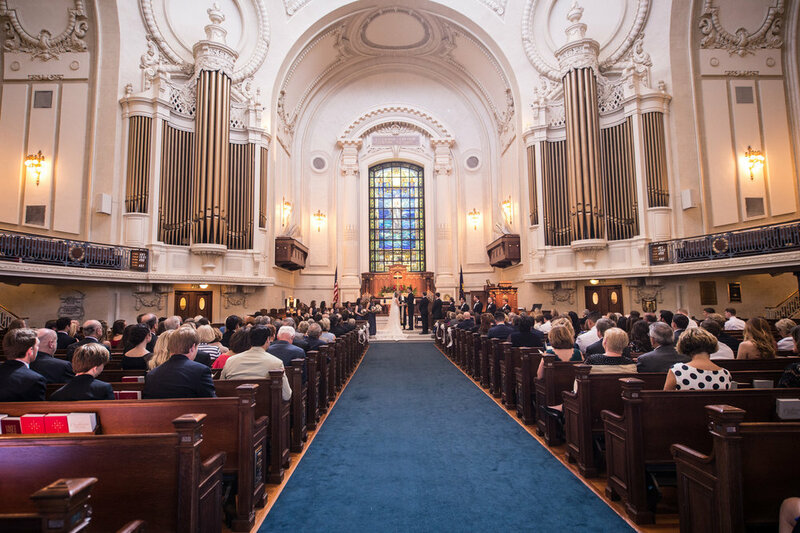 Use of the Chapel for weddings is limited to Naval Academy alumni, military staff and faculty members; active-duty military members assigned to Naval Support Activity Annapolis and active-duty military personnel living in the immediate vicinity of the Chapel who also regularly attend Chapel services. Nestled in the suburbs of Baltimore, Cathedral of Mary Our Queen is in a prime location to get hitched! Fun fact: it was the nation's first Roman Catholic Church! 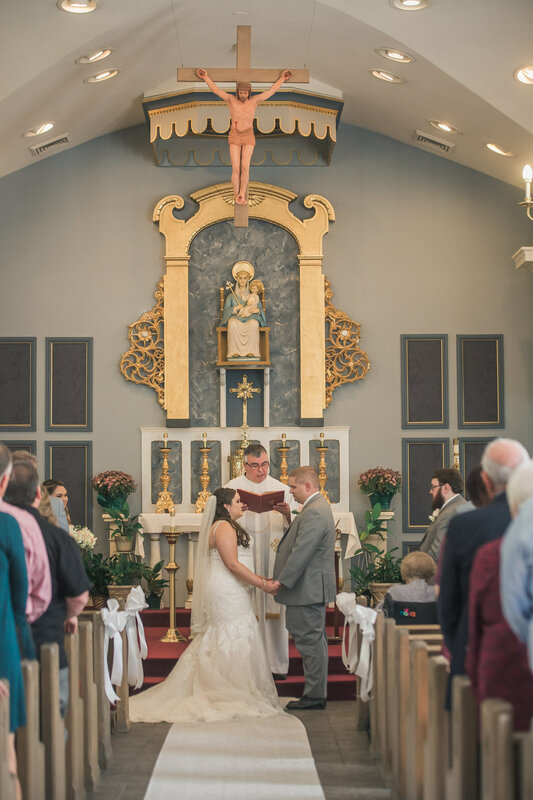 Couples are to contact the Parish Office at least six months before any wedding plans may be made. Weddings can be held in the Main Church of the Cathedral or in the Lady Chapel, located behind the main sanctuary at the west end of the Cathedral. 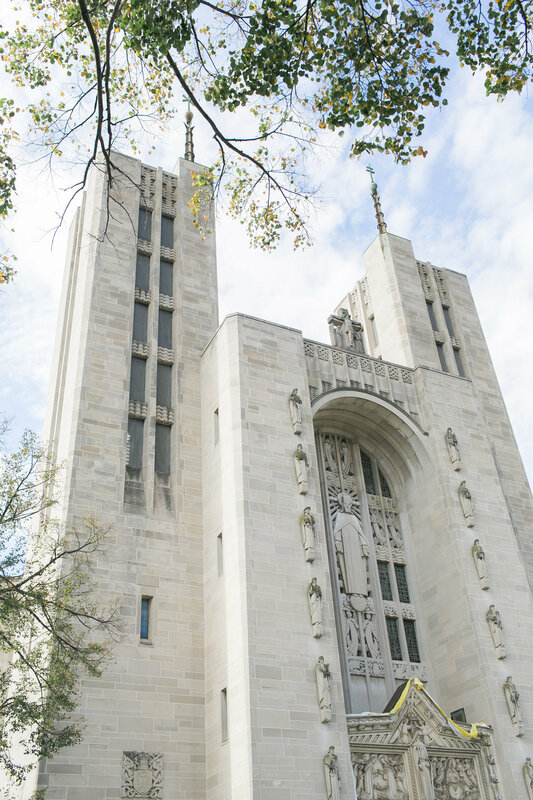 Weddings may be held at the Cathedral only on Saturdays at 10am, 12noon, or 2pm. Wedding rehearsals are typically scheduled Friday evening at 6:30pm. In the Episcopal Church, it is required that at least one of the parties must be a baptized Christian. While we will consider performing wedding ceremonies for those outside our community, we hope that whenever possible, people wishing to be married here will consider joining our faith community. We are happy to marry persons who are divorced; the canons of our Church require us to write the Bishop for permission in advance of the wedding, so please tell us if that is the case. Although the church Canons state that the absolute minimum notice is thirty days, it would be very unusual for less than ninety days to be adequate. 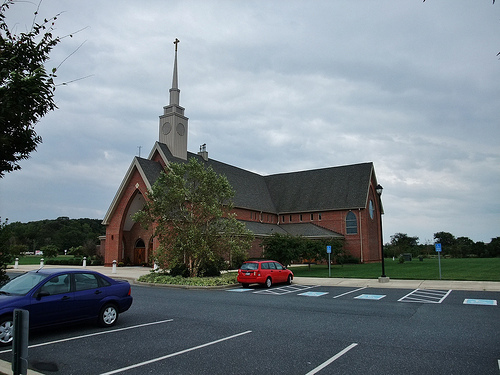 Located at 101 Owensville Road, West River MD, Our Lady of Sorrows Catholic Church serves the greater southern Anne Arundel County catholic community. Equipped with a charming garden this is a great place to wed without worry of too much street hub bub! If you would like to get married in a traditional Greek parish, the Ss. Constantine and Helen is the place for your family and friends to welcome the beginning of married life! Located a hop, skip, and a jump from crossing the Bay Bridge in Easton, MD. Saints Peter and Paul Roman Catholic Church has charming architecture and a beautiful altar for you and your partner to say "I Do"! 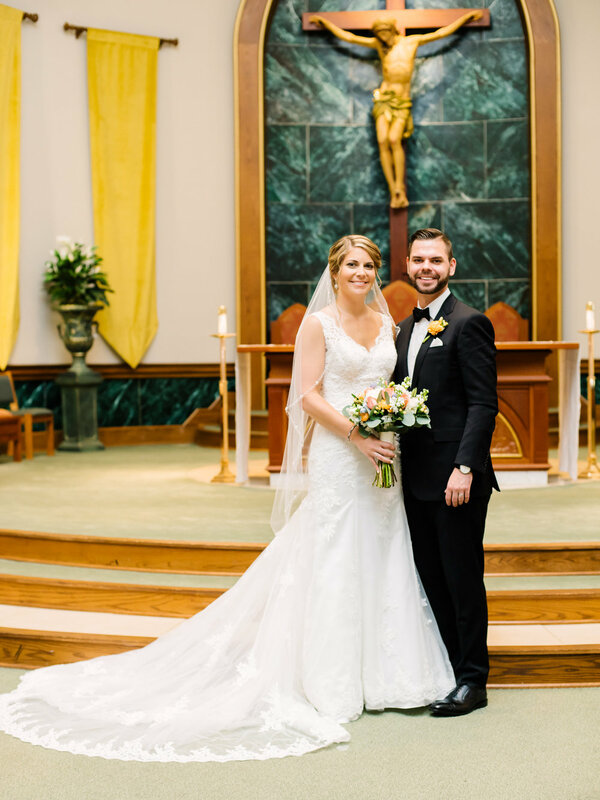 Located in the heart of downtown Annapolis, St. Mary's Annapolis offers family and friends gorgeous views of scenic and historic downtown as well as an AMAZING altar to make those pictures even more perfect! St. Martin’s Lutheran Church and School is centrally located in Annapolis on 10 acres fronting Forest Drive, Spa Road and Hilltop Lane. This church has one of the most impressive organs around, enhancing its already rich architecture! St. Anne’s is literally the HUB of downtown at church circle.